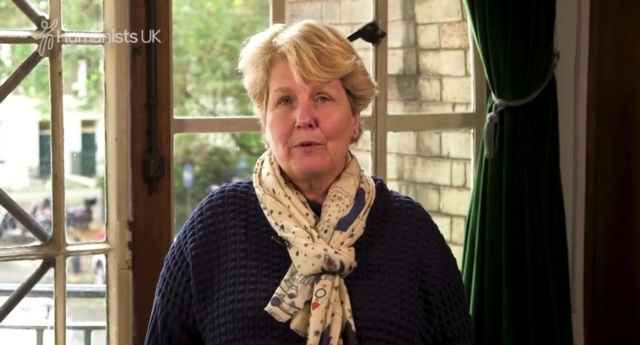 QI host Sandi Toksvig is fronting an online course on humanism. The out TV host, who is a patron for non-religious organisation Humanists UK, is fronting the free online course for the organisation. Humanists UK says the course is “designed to meet growing demand from the vast segment of the population who are not religious but who are nonetheless hungry for answers to questions”. Sandi Toksvig said: “I’m delighted to be presenting this course. I’ve always been fascinated by life’s big questions and believe we should all have the opportunity to work out the answers for ourselves. In an introductory video, she adds: “We live in an increasingly pluralistic world. We are surrounded by a diversity of beliefs. “Today, an increasing number of people are not religious. Many believe that the universe is a natural phenomenon with no supernatural side. They believe that this is the one life we have. And they want to lead ethical, meaningful, and fulfilling lives. People like humanists. “I’m Sandi Toksvig. I’m a humanist, and I’m a patron of Humanists UK. I’m fascinated by life’s big questions. “There is widespread misunderstanding about what it means to be a humanist, or to live a life without religion. During this course, we’ll provide you with a deeper understanding of the humanist approach to life and of how humanists answer life’s big questions. “We’ll explore the tensions and dilemmas contained within a humanist view, as well as the arguments against it, and the responses humanists give to those arguments. Humanists UK Chief Executive Andrew Copson said: “Today a majority of people in the UK declare themselves to be non-religious, but we’re no less curious about life, about one other, or about the big questions. FutureLearn Chief Executive Simon Nelson said: “We’re delighted to have Humanists UK as a partner. Our mission is to make education accessible to as many people as possible, across the globe, and in our minds, that doesn’t stop with traditional curriculum-focused subjects.